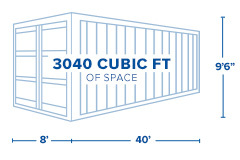 Interport’s 40-foot high-cube double-door shipping containers deliver maximum value, convenience, and usable space. Their extra foot of height creates more capacity to stack bulky or lightweight cargo or equipment, while doors at both ends provide easy access to store, retrieve, and sort goods or materials. With the addition of a partition, double-door shipping containers can be modified to create separate spaces for storage or container offices or to set up a pair of retail kiosks. 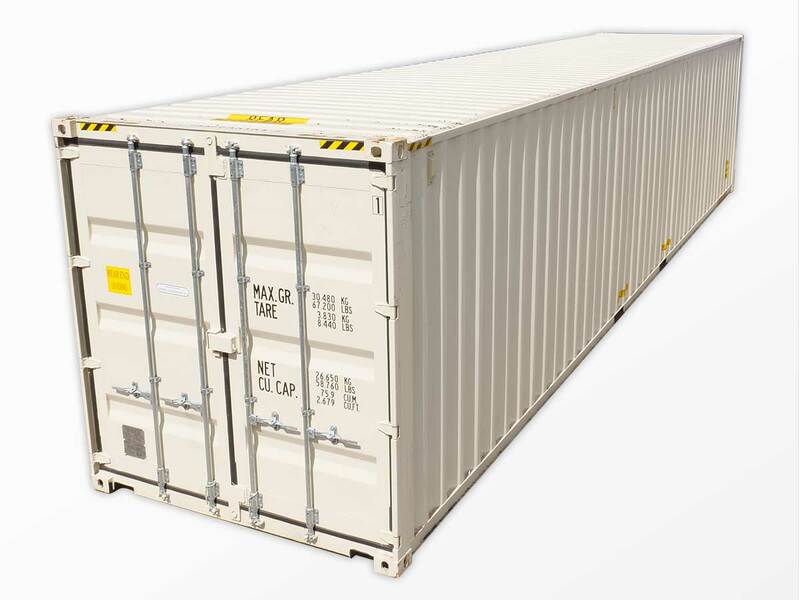 Interport offers the Northeast’s largest selection of new and used 40-foot high-cube double-door shipping containers, available for immediate sale and next-business-day delivery. Length: 40ft. Length: 39ft. 2in. Width: 7ft. 6in. Gross: 67,197 lbs. Width: 8ft. Width: 7ft. 7in. Height: 8ft. 4in. Payload: 58,819 lbs. Height: 9ft. 6in Height: 8ft. 8 in. Tare Weight: 8,378 lbs. Length: 39ft. 2in. Width: 7ft. 7in. Height: 8ft. 8 in. Gross: 67,197 lbs. Payload: 58,819 lbs. Tare Weight: 8,378 lbs.